When we want to know God’s plan for us our Bible is a perfect instrument to read to help you understand His will. For several years now the Bible has helped me a lot in searching for God’s words that will guide and protect me and my family in our daily living. Together with prayers it has become our powerful tool in conquering our weaknesses, failures and everything that rob us of our strength in facing daily struggles in life. It’s also our reading companion in searching through phrases that are both inspirational and fulfilling. For me Bible is a holy book that documented the life of Jesus Christ, his teachings and how He redeemed us. By reading it you’ll know God’s creation of mankind and how He has made everything in good order for the mankind. I love reading it from the Old Testament all through the New Testament because it all depicts how God’s love for mankind is immeasurable. The book has all the right answers to my quests which keep me always onto the right track of life. As I’ve been using the Bible continuously for more than 20 years now I collected various kinds to help me through searching for verses and for reading the words of God. When I buy or look for the kind that I need I usually go to my favorite Christian Bible book store to select from their wide variety of stocks of bible in varied languages and other interesting products. When I go there it keeps me very occupied with their Bible variations that sometimes I lose track of time. Well if you also want to enjoy such kinds you can visit Bible Expo and Gifts, the home of bibles for almost all languages in the world. You’ll learn about their Bilingual Bibles like the New French and English parallel and other languages in order to choose the language you know or you prefer to read in. The two languages are written side by side for easy read-along. 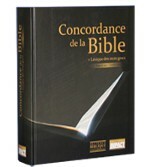 They also offer large print Bible, Spanish Bilingual Bible, Concordance, Bible dictionary, Hebrew, Greek and a lot more.